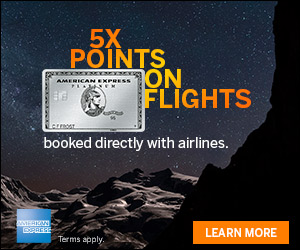 Thought we would pass along the information about an amazing targeted offer for the American Express Platinum Card. 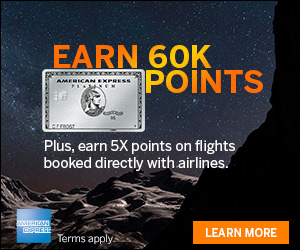 It appears American Express had a targeted offer campaign for 100,000 Membership Rewards points (or 150k Avios Points with 50% transfer bonus) with a new American Express Platinum Card. 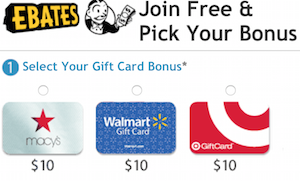 Since this offer is targeted, it comes with a specific RSVP code for each targeted recipient. Recipients of the targeted offer can apply online at americanexpress.com/acceptplatinum or call the 877-801-4221 number to apply. When you apply they will ask verifying questions to make sure the RSVP matches the intended recipient. The non-targeted Platinum American Express Credit Card offer provides 25,000 Membership Rewards® points when you spend $2,000 during your first three months of Card membership. In addition, you’ll receive premium travel benefits including access over 600 lounges worldwide with Priority Pass Select, no foreign transaction fees, bypass airport arrival lines with Global Entry. Have any of you received this offer? I got one with a 10k spend requirement. Still worth every penny! @ Howie, did you have any AMEX cards prior to this offer? My wife got an offer but I didn’t. Hi oneeyejack – It will go to good use for sure. Hi Gabe – Congrats! I would strongly consider taking advantage of it if you already haven’t. @MSPDeltaDude – I previously had 1 personal and 2 business cards. The target I used was a business target sent to my home address. I already have a Plat Amx, but I’ve been trying to talk some friends into getting one for a while now. Any way to talk your way into one of these offers? My mother received this offer and just started using the card. I’d love to get in on this deal but I can’t complain with last years Amex Gold & Biz Gold deals. Hi Shannon – We tried to both sign up for it, and only the one of who’s name was on RSVP could apply. Hi Michael – Good call in getting in on those deals. I haven’t gotten it but would love to! If anyone knows how to help chances of getting targeted to offers like these (since I never do! ), please share! Hi Benny – Keep us posted if you get it. The campaign doesnt end for a few months. Hi Curtis – It’s hard to say. MrsWeekly Flyer only has a corp Amex and is also a secondary user on my SPG card. But that is the extent of her relationship with Amex. So we were very surprised when she was targeted. Will do! Glad to know it’ll be going on for awhile. I have two personal and two biz AMEX but would love to add this one. I received the 100k/$3k 3 month offer in the mail yesterday. But I closed my Delta Skymiles card with Amex last April after they initiated a FR on me. I did not feel like providing the tax return documents so I asked them to close my account. I am wondering whether they will deny my application automatically, or should I try? Hi Pointhungary – Not sure, but what do you have to lose by trying? Just got my new plat Amex today. 100k pts, 10k spend by dec28. No problem;). Best first class award uses? I got a 50K for $1K in 3 months Premier Rewards Gold offer a month ago, when I went online to accept it, I was offered the 100K for $3K in 3 months Platinum offer, but I just went with Gold.